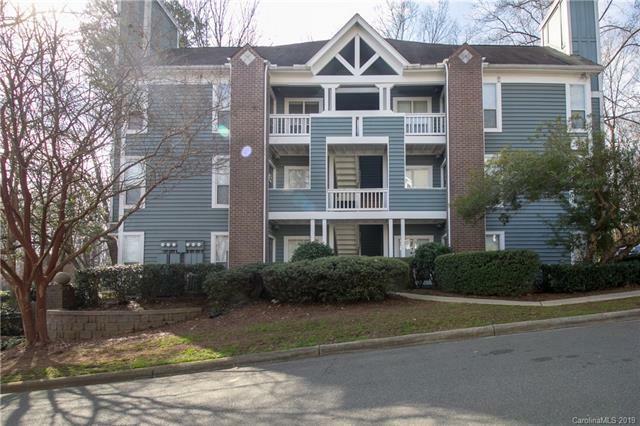 2512 Cranbrook Lane #5, Charlotte, NC 28207 (#3469863) :: Robert Greene Real Estate, Inc.
Amazing top floor, end unit condo in Eastover! The condo features a family room vaulted ceiling with open floorplan, tons of natural light, kitchen with granite and new dishwasher, spacious bedrooms, pre-finished hardwoods and tile throughout, 2" window treatments, crown molding, walk in closet, large inviting rear covered porch with access from two sliding doors, wood burning fireplace in family room, fresh paint throughout, plus storage closet on rear covered porch as well! Top floor/end unit means more privacy and this home is move-in ready... Plus low HOA dues! Very close to Uptown and community backs up to Elizabeth, you can't beat the location! Community also features a pool, hot tub, clubhouse with gym and large grilling area! Don't miss this one! !